A few days ago, I covered the latest twist in the Wine Country Comic Con controversy, that a Facebook page Comic Con Controversy In Northern California had been set up, purporting to be an independent focus on claims against the WCCC, but in doing so, brought in a rival show and attempted to taint them with a charge of cyberbulling the WCCC and harming the charity work of the Roseland Lions Club. Jeff Sterck, the son of Lion’s Club president Pat Sterck was suspected of being involved with this Facebook page, though on his own page he denied involvement, saying it was independent. 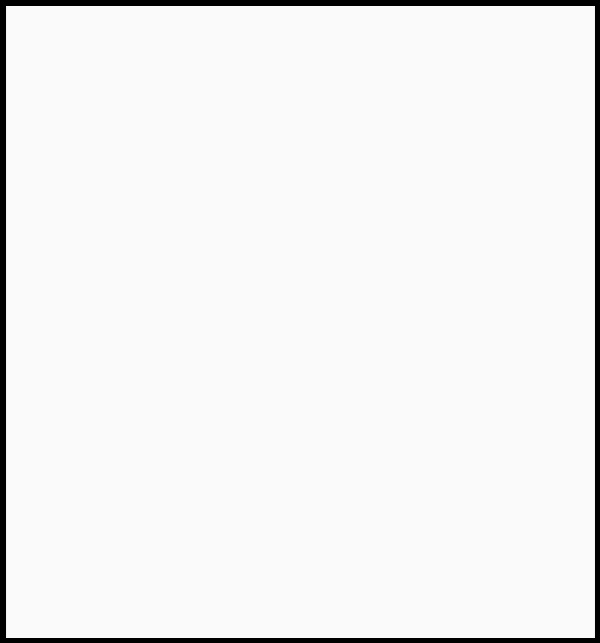 After Bleeding Cool published the article, suddenly both the Comic Con Controversy page and Jeff Sterck finally got in touch, both claiming they were nothing to do with each other. But after all the evidence was pointed out, that changed. 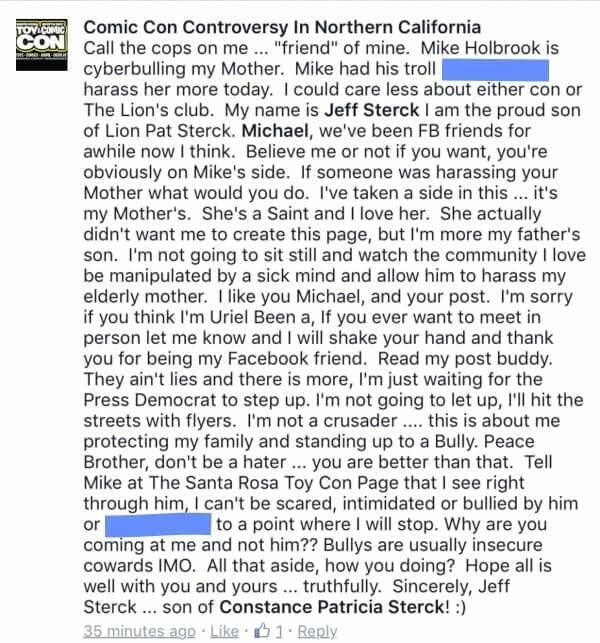 First the Comic Con Controversy page posted our correspondence, and Jeff accused me of being in league with rival show organiser Mike Holbrook. But then the Facebook page posted the following. The reputation of Pat Sterck in the community, based on her charity work is a sterling one, and any actions taken by the WCCC of Jeff Sterck should not reflect badly on her, or the wonderful work of the Roseland Lion’s Club. As I told Jeff, I understood that he was doing what he could to protect his mother. But criticism of a show does not equate to cyberbullying, but what he was doing in defence, did.